Almost Time to Sail South! 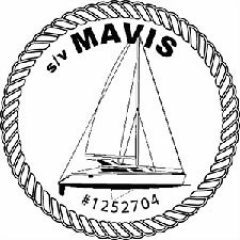 After a fantastic first summer with Mavis on the Great South Bay, the chill in the air means it’s almost time to take her south. Our plan, since before even closing on the boat was to sail south for the winter and spend time in Florida and perhaps the Bahamas. The summer flew by much faster than expected. 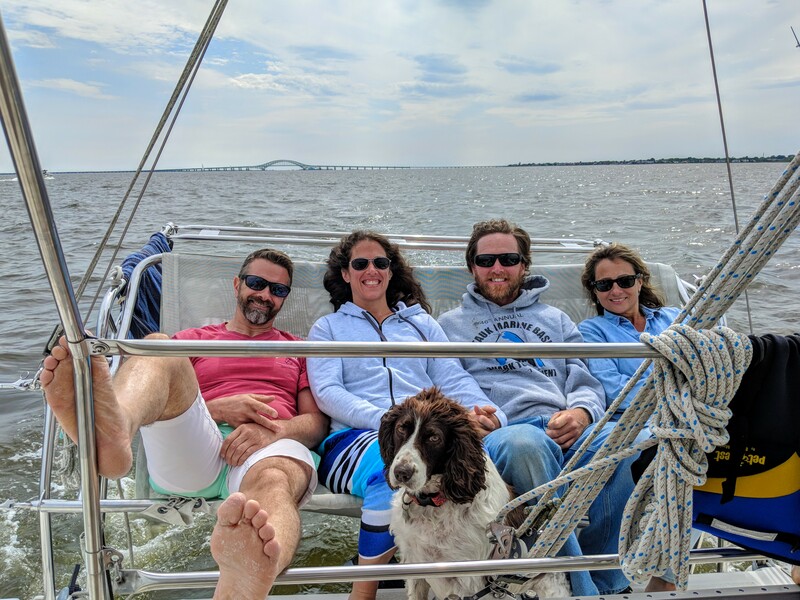 It feels like just a few weeks ago that we were arriving at Oakdale Yacht Club from Virginia with our new (to us) boat. One of many awesome sails with friends this summer! We had planned to do some cruising over the summer and wanted to head north and visit Block Island, Martha’s Vineyard and Cape Cod but it just didn’t happen. Business responsibilities, weather, and “life” kept us in the bay. This is not to say that we didn’t use our boat! 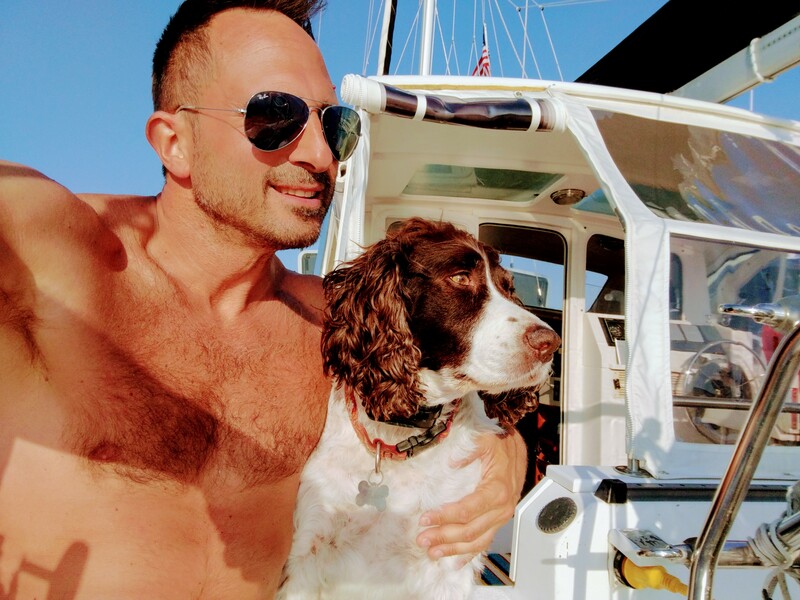 We took her out quite a bit this summer and spent time over on Fire Island, and sailing to “nowhere” around the bay. We have really gotten to know the boat much better and have done lots of repairs and upgrades in preparation for this adventure. We did lots of local cruising on the bay! Our insurance policy limited our navigational area to the coastal waters north of Cape Hatteras, NC. It also required that the boat be laid up from November to March. When I gave our broker a call to expand this to include the entire eastern seaboard and the Bahamas, I expected our premium to double. Instead, I was pleased (and shocked) to learn it would only be about $100 per year more. There’s no longer a winter layup required and the only real restriction is that we remain north of Cape Hatteras between June 15 and November 1. This is a common restriction on many yacht insurance policies due to peak Atlantic hurricane season. Speaking of hurricanes… As I write this, hurricane Florence, a rapidly developing storm, is barreling west toward the Carolinas where it is expected to make landfall in a few days as a Category 4 hurricane. We plan to leave in about a week or two to begin moving south. This storm will certainly impact our trip down in some way. It’s just not clear to what extent and how. Where it hits, and the damage it causes will dictate what needs to be done to get south of it. I have no idea what’s going to happen to the intracoastal waterway, the marinas, and stops for fuel and provisions in the area. It may be necessary to load up on provisions and try to bypass the entire area by running offshore around Cape Hatteras, Cape Lookout and Cape Fear. I think the boat is ready to go. I just completed an oil change and changed all of the filters. I removed and cleaned our starboard fuel tank. I replaced the DC diesel lift pump. I’ve replaced the genoa furling line and the genoa sheets. The house battery bank was made up of 2 flooded batteries which I changed to AGMs. We’ve installed a 265w solar panel and MPPT charge controller. I purchased a small portable generator. Before leaving from Virginia, I installed a new chartplotter and VHF radio with AIS receive capability. The only piece of navigational kit that we don’t have that I would like to have is radar. Our Garmin plotter supports it but I didn’t buy a radome. I didn’t want to make holes in our mast to install it, didn’t want to spend the $1200 and I was concerned about the power draw… So I skipped it. Hopefully we won’t find ourselves in reduced visibility. I encountered some fog on the trip up the Chesapeake Bay in the spring and it was pretty disturbing. We ended up dropping an anchor and waiting a few hours for it to burn off. We need to pack our clothing. And while I believe that less is more, we will be gone for about 6 months… The seasons are changing, and we will be changing latitude. The weather can also be pretty unpredictable this time of year. All this makes it tricky to know what to bring, and what to leave home. My thoughts right now are to pack a few pair of jeans, some sweatshirts and sweaters, a few bathing suits and shorts and my foul weather gear. A nice thing about our Gemini is the fully enclosed cockpit. The isinglass makes the cockpit a cozy little greenhouse that some owners refer to as the Florida room. Sailing with the enclosure buttoned up makes it difficult to adjust sail trim and I personally like to sit on the cockpit combing a look out over the bow from the side, but this enclosure really increases the all-weather capabilities of the boat. It’s nice to be able to sail in cold or rain in shirtsleeves while other sailors are in their foulies. We also need to do some provisioning for the first leg of the journey. Our fridge is a decent size and it has an awesome feature of being able to run on propane as well as electricity. This makes keeping things cool while underway easy and energy efficient. We will also have a small cooler that we can replenish with ice every few days if need be. We are bringing our salty pup Willow with us and a concern is how she will do being cooped up on board for days on end. While we plan to do this trip as a series of day sails, anchoring or pulling into a marina every night, there will be offshore passages that will keep us out at sea for 24 hours or more. We are hoping to get a small piece of astroturf and teach the dog to relieve herself on it before she explodes. She spends a lot of time on board with us and doesn’t seem to get seasick. There’s so much to think about… I’m finding it hard to concentrate on anything but this trip. I guess it’s anxiety. I’m looking forward to being underway soon. Author Capt. FrankPosted on September 10, 2018 October 15, 2018 Categories Cruising Logs1 Comment on Almost Time to Sail South!